Now in his fourteenth year at the Council, Gordon serves as President and CEO. In this role he is the point person for Ohio retail and wholesale issues in the Statehouse and Congress and manages the Council’s budget, staff and vendors. In addition to his Council duties, Gordon serves on the Capital Square Foundation, the Greater Columbus Sports Commission, the Ohio Industrial Commission Nominating Council and the Association of Ohio Commodores. Gordon has also served the people of Central Ohio as President of the Nationwide Children’s Hospital Foundation Development Board. 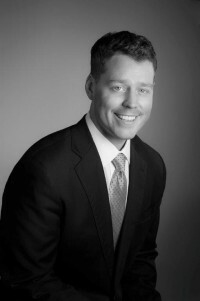 In 2012, Gordon received Columbus Business First’s Forty Under 40 Award for rising business leaders, and was recently recognized by Columbus Business First as “20 People to Know in Retail”. A native of Kettering, Gordon earned a B.A. in Political Science from The Ohio State University and a M.B.A. from The Ohio State University’s Fisher College of Business. He and his wife reside in Columbus with their four children.